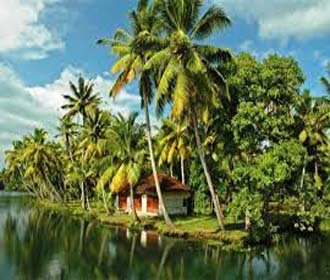 A southern state of India known as God's own country and Kashmir of South India is called as Kerala. Trivendrapuram is the capital city of this state. Kerala is favorite destination for nature lovers, newly married couples, beach lovers and sea food fonder. Tourists who will to spend some time in the arms of Mother-Nature always want to enjoy their holidays in Kerala. According to Hindu religion, Kerala was founded by Parasurama - the sixth incarnation of Lord Vishnu. Actually, Kerala was rendered to him by Varuna - the God of water, when he visited the earth seeking calm and tranquility. And perhaps that's why the land was filled with lush vegetations and calm landscapes. That peace and serenity can still be seen amidst Kerala's people, nature, geography, cultures and lifestyle. According to the National geographic Travel, this state rated as top 50 must-see tourist destinations in lifetime. Apart this, It comes under top ten heaven in the world and won many laurels. Kerala is rich with wonderful tourist attractions and travel destination to make everyone's holidays memorable and full of joy. It has unique and colorful culture, traditions, geography etc. Kerala Tourism department is focusing on heritage tourism, preservation of tourism attractions, organizing tourism fairs and seminar to attract tourists and creating favorable conditions for them. Some heritage destinations in Kerala are St. Alphonsa Tomb, Guruvayoor Temple, Sabarimala and so on which are famous among Indian and international tourists. Main tourist destinations in Kerala are Appappey, Kochi, Munnar, Trivandrum and so on. Munnar is famous for backwaters, houseboats cruises, tea, coffee, beach resorts and many other attractions. Most growing tourism in Kerala is Ayurveda, yoga, dental and hospitality. Most famous Kerala tourism packages are honeymoon packages, backwaters holidays, beach holidays, Ayurveda and Spa therapy packages, houseboats cruise tour etc that are most sold out in the market every time. Tourist you taste a varies of food on Kerala tours like rice, seasonal veggies fried, seafood curry, dal, a fragrant dish as dessert etc. You can take seafood like fishes, tuna fish, rays, oysters etc. You can have light food such as banana chips, shakaruperi, muruku, and various other types of foods any time in a day.